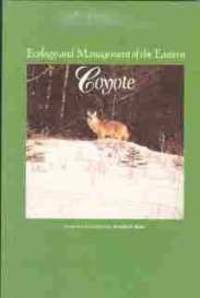 Fredericton: University of New Brunswick, 1992. pict paper wraps, 194 pages, illustrated, graphs, maps, light shelf wear, A collection of invited papers presented at a Symposium on the Eastern Coyote held in Fredericton, N.B. on 7-9 Nov. 1991, 12 papers in total from North American contributors Size: 8 Vo.,. Paperbound. Very Good. natural History. New York: Raven Press, 1973. gilt spine, . Hard Cover. Very Good/Very Good. 8 vo,.. Hardbound. Oxford,: Clarendon P., 1968. blue cloth, gilt spine, xviii, 311 pages, Includes index d.j is price-clipped, spine of d.j lightly faded, a sound clean, copy, . First Edition. Hard Cover. Very Good/Very Good. 8vo,. (24 cm). Hardbound. By Sala.George Augustus; Tussaud and Sons. London: Tussaud and Sons. no date (1916? ), pict. col., wraps, pp., (8). 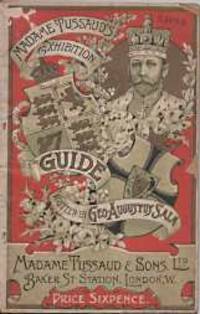 (adverts.,79,(1), light chips to wraps, else a very good copy, author's introduction is dated April, 1892, one advert has a line stating (during the war) thus I have dated item 1916? However there was another edition in 1914 so ? Regardless of date, a scare item of ephemera with interesting adverts., . Paper Wraps,. Very Good. 8vo,. (22 cm). Paperbound. By William Bartley & Sons. Bartley, New Jersey: William Bartley & Sons. no date, (circa 1904), printed paper wraps, 43 pages, illustrated, some light soil to wraps, a well illlustrated catalog with 7 pp of black and white ills from photographs of saw mills in operation. . Paperwraps,. Very Good. 8vo,.. Catalog. WITCH IN THE WIND : the true story of the legendary Bluenose. Toronto: Thomas Allen Publishers, 2007. blue cloth, gilt spine, 312 pages : illustrations (some color), maps., pictorial endpapers, CONTENTS: Her conception and birth -- Her long pedigree -- Her magical ways in the wind and weather -- Her master and men -- Her first rivals -- Her life on the Banks -- Her dangerous predecessors -- Her racing antecedents -- Her tangled politics -- Her famous victories -- Her acrimonious duel with the glorious Columbia -- Her dispiriting life in the Great Depression -- Her years as a downhill racer -- Her final adventure -- Epilogue.. First Edition. Hardcover. Fine/Fine. 8vo,.. Hardbound. Philadelphia: David McKay, 1899. pict cloth, pp.,vi, (1), 224 pages : illustrated, frontis.port., (over 600 original drawings by the author) light wear at edges and corners, . First Edition. Hard Cover. Very Good. 8 vo,.. Hardbound. By Society for Promoting Christian Knowledge (Great Britain). General Literature Committee. London: J.W. Parker,, 1834. bound in full, gilt dec. blind stamped calf, cover and spine, gauffered edges, raised bands,marbled endpapers and edges, vi, , 408 p.; illus., front., numerous text illustrations, minor wear at edges and corners, a sound copy. 2nd Edition. Hard Cover. Very Good. 12 mo (18 cm). Hardbound,. Saint John , New Brunswick: W.H. Thorne & Co, 1926. blue,buckram, gilt cover & spine, pp., xxxiv, 911: illustrated throughout,includes index, this is Thorne's first complete hardware catalogue. The company was established in 1867 and is still in business today. A profusely illustrated wholesale catalogue containing; Hardware, Building Materials, deep Sea Fishing Supplies, Explosives, Baseball golf, hockey, and other Sportng Goods, amd Glasware. a valuable reference for the tool collector and others. Size: 4 to.,(29 cm). Hard Cover. Very Good/Very Good. Hardcover. London: Verso Editions, 1981. printed paper covers, 368 pages, 2nd expanded edition, including "Into Political Emergency-a retrospect from the 80's" CONTENTS: The Twilight of the British State; Scotland and Europe; Old and New Scottish Nationalism; Culture and Politics in Wales; Northern Ireland: Relic or Portent? English Nationalism: the Case of Enoch Powell; The English Enigma; Supra-Nationalism and Europe; The Modern Janus; Into Political Emergency (A 1981 Postscript) Index. Second Edition. Paper Back. Very Good. 8 vo,. (22 cm.). Paperbound. New York: Living Language, an imprint of Random House, 2012. boxed, 9 audio discs : CD audio, digital ; 4 3/4 in. + 4 instruction books :ESSENTIAL 257pp.,; INTERMEDIATE 345pp;.,ADVANCED, 336pp. all are illustrated ; + ARABIC SCRIPT GUIDE , 105pp., 4 books include 46 lessons, additional review exercises, culture notes, and a grammar summary-- plus a complete guide to Arabic script ; 9 audio CDs include vocabulary, dialogues, audio exercises, and more. CONTENTS OF CDS; Essential. CD 1. Essential expressions ; People and the family ; Numbers ; Around the house -- CD 2. Describing things ; Around town ; At the restaurant ; Everyday life ; At work -- CD 3. At work (cont.) ; Entertainment ; Review dialogues ; Pronunciation. Intermediate. CD 4. People and the family ; Around the home ; CD 5. Around the home (cont.) ; Everyday life ; At the restaurant -- CD 6. At the restaurant (cont.) ; Around town. Advanced. CD 7. Shopping ; Sports and leisure -- CD 8. Sports and leisure (cont.) ; Work and school -- CD 9. Work and school (cont.) ; Doctors and health.. paper Wraps. Very Good. 8 vo,.(22cm). Paperbound. Bridgton, Maine: Camp Wildwood printed card wraps, (the 1943 issue has an illustrated cover, 24 pages each issue, illustrated, line drawings, half-tones from photographs,(1939 & 1940 issue) all in very good condition.The 1939 &40 issues are printed in letterpres and are attractively laid out. The 1943 issue may have been printed on a Gestetner duplicating machine. Camp Wildwood on Wood's Lake, Maine was a Camp for Jewish girls from 9 to 15. The 9 to 15 age group was located in the main camp and girls from 16 to 19 camped at the Wildwood Club. Activities included "Arts and Crafts, Water and Land Sports, including Riding. All activities adapted to the needs of the individual girl" The Director of the camp was Harriet Wolfe, of New York NY. Each issue contains a number of small articles on camp life and activities. Also present in each issue is a list of the camp attendees and their addresses. Enrollment was thru personal interview. There is a Camp Wildwood on Wood's Pond, near Bridgton today it is a private club for boys, established in 1953. . Paperbound. Very Good. 4 to. Paperbound. Hanover, New Hampshire: University Press of New England, 2003. cloth, dust jacket, . First Edition. Hard Cover. Very Good/Very Good. 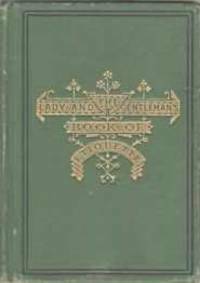 8 Vo,..
Boston: Thayer & Wadham, 1881. red cloth, gilt dec. cover, gilt spine, beveled boards, 396 pages  leaves of plates illustrations, index, Errata slip inserted.. moderate soil to covers, minor edge wear, a sound copy. . 3d ed., rev. and Enlarged. Hard Cover. Very Good. 8 Vo,..
Chicago: Frederick J. Drake & Co., 1916. dec. cloth cover & spine, 525,(13),(6) index,(4) plates,(4) index, with numerous working drawings and sketches of tools,appliances, ceiling designs and examples of ornamental stucco work. two pages have small tear at top corner, no loss of text edges have minor spotting. a bright, clean copy. Hard Cover. Very Good. 8 Vo,..
Toronto: Frederick D. Goodchild, 1922. pictorial cloth cover,227 (1) advert., numerous text illustrations, light wear at cornersand spine ends, spotting to edges, covers lightly soiled. The first Canadian edition of a scarce book.. Hard Cover. Very Good/No d.j. 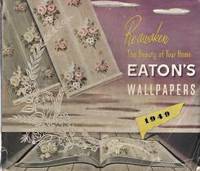 8 vo,..
EATON'S WALLPAPERS FOR 1948 : [catalogue]. Toronto: T. Eaton Co., 1948. pict. paper wraps, unpaginated, color illustrations, full page samples of wallpapers, laid-in is a 4 pp accordion fold Kem-Tone paint chart (printed both sides) and a 2 pp Eaton's order form. thumbed at lower corners, small tears and chips at spine, . Paperbound. Good. Oblong 4to., (20 x 27 cm). Lexington, Ky.: J. Peterman Company 17 catalogues,pict. paper wraps, illustrated in color, (products are depicted in drawings rather than photographs) numerous pagination (aver, 50 + pages) all in v.g. condition, Catalogs present,,,Owner's Manuals No. 's 25b;26b;28a;30;32b;33a;35b;36a;39b;50;53;54;55;64; also Unexpected Summer Sale cat ,1993; 4th Anti-Recession Manual; & The j. Peterman co. Winter Sale '95 catalog.From 1995 to 1998, The most popular television series at the time, Seinfeld, parodied the owner and the company with Elaine Benes working at the catalog under eccentric businessman and world traveler J. Peterman, The J. Peterman Company's first product was an original horseman's duster, promoted with a small ad in The New Yorker. The company grew by offering distinctive lifestyle merchandise (including reproductions of antique clothing and clothing worn in specific films) within catalogs that differed from other direct marketing at the time. The catalogs use long copy to explain the products, often digressing into exotic stories of how the catalog writer came across the product, or how it will make the wearer irresistibly attractive, extra post will be required.. Paperbound. Very Good. Tall 8 Vo., (27 cm).